"Foarte tare trebuie sa-l fac si eu. Mia placut si asta si prin ciucas anul asta am de pedalat.Fain de…"
Mtbtours.ro comes now with a small design face-lift and we are launching it with this new video of the single trails in Postavaru Mountain, on the outskirts of Brasov. We went mountain biking and filming on a nice and warm Sunday of November, the last one before the cold weather settled in. 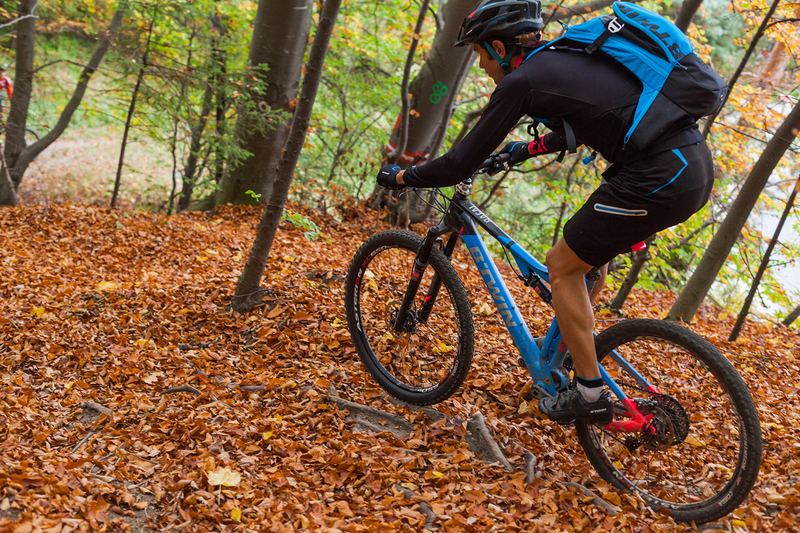 Brasov is the ideal place to live in if you are a mountain biker. It’s a matter of minutes to get from city center to the trails of Postavaru Mountain or to the bus station for Poiana Brasov – more and more downhillers are using the bus to get up the mountain. Those who want to cycle uphill there is the option of the old dirt road that goes through the “Pietrele lui Solomon” gorges and then to Poiana Brasov. About 10 kilometers and 500m dis-level, not very demanding but OK for a good workout. Just at the end of this dirt road you reach a nice path that goes down the mountain back to Brasov, the locals know it by the name “Valea cu Apa”. It’s a nice single trail with long, flowing parts but also with a few technical sections, as you can see in the video. I kept it quite long (22min and 22 sec) so you can really see and feel the trail by yourself. Starting with 11min and 13sec is the famous downhill from Poiana Stechil to Brasov, part of the mountain biking route used in the Cetatea Brasovului Duathlon. Up-coming is a video about a different route from Poiana Brasov to Brasov: “Triunghiul Galben”, the yellow triangle path that is less popular but equally (if not more) interesting, especially if you like cross-country or all-mountain. This will probably happen next year, unless we will ride our mountain bikes this Christmas and New Year’s Eve instead of skiing. Foarte tare trebuie sa-l fac si eu. Mia placut si asta si prin ciucas anul asta am de pedalat.Fain de tot continuati tot asa.